Boheem have recently been responsible for the design and production management of the interior graphics at the new St John Ambulance headquarters. Our concept was “Hands that help”, a tribute to the life-saving efforts of St John, and each design element was hand-written or hand-made. 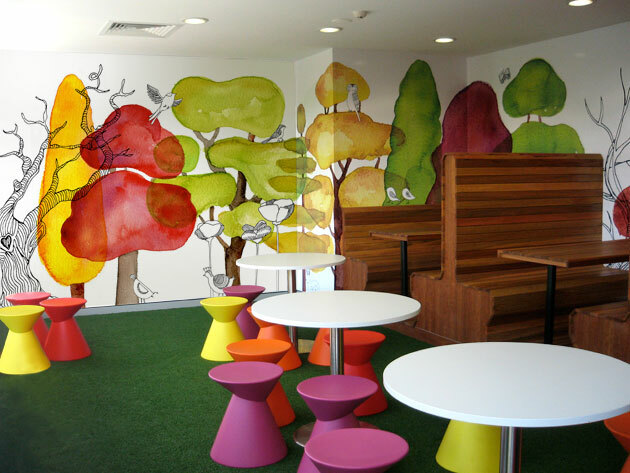 For the cafeteria areas (top), we covered the walls with charming watercolour trees, hand-drawn creatures and foliage. 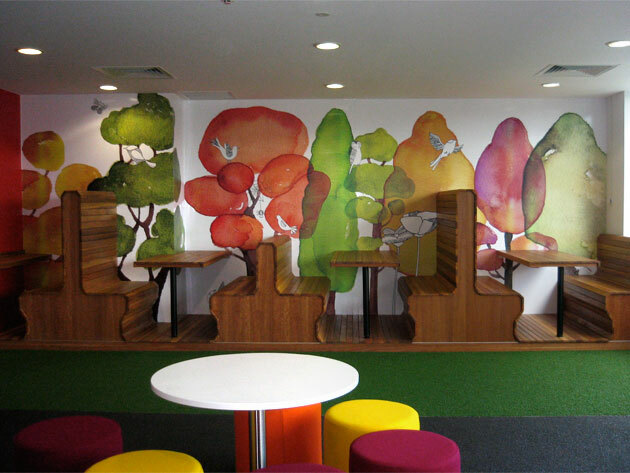 These spaces are wonderfully bright and fun, and with astro-turf flooring and timber park-bench style seating, it’s a great break away from the usual corporate social areas. 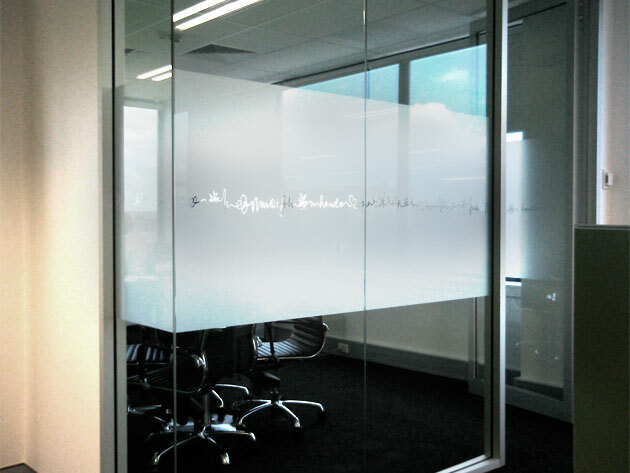 The glass wall decals (middle) which provide privacy between rooms was treated with a very subtle continuous line of scribbly text reading “hands that help”. 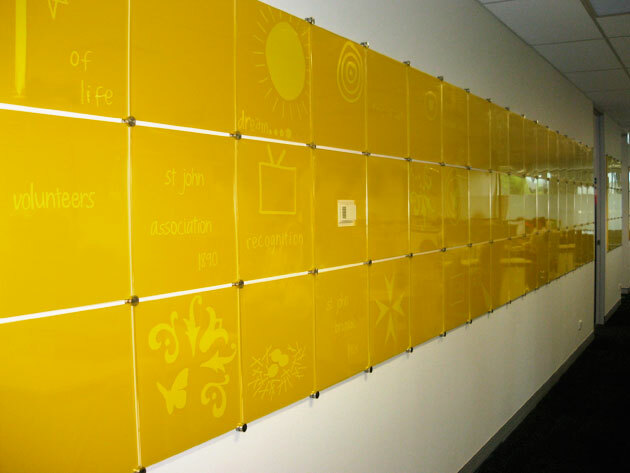 Finally, the walls of the the staff working areas were decorated with a tile acrylic artwork (above). We wanted the staff members to feel a sense of ownership over their new space, so each person was given a few tiles to decorate. It was a great team building experience where the staff were given the opportunity to add their own ‘creative input’.